For this image, we were asked to produce a light, bright room set showcasing this stunning Wet Room configuration. 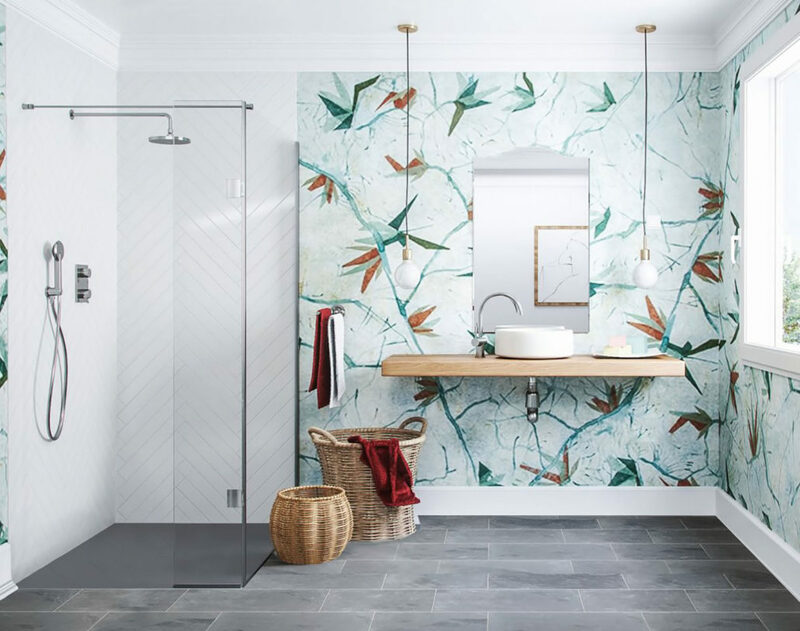 As always we needed to ensure the room looked stylish and high end, but as this image was going to need to be used for PR we wanted to ensure it looked as realistic a bathroom as possible. 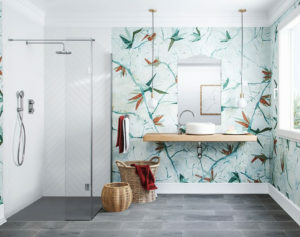 This includes finding props and items that you would find in a bathroom, even the wallpaper is special water-resistant paper that is available to buy for bathroom use. This was an extremely successful image, featured in many big homes title magazines.